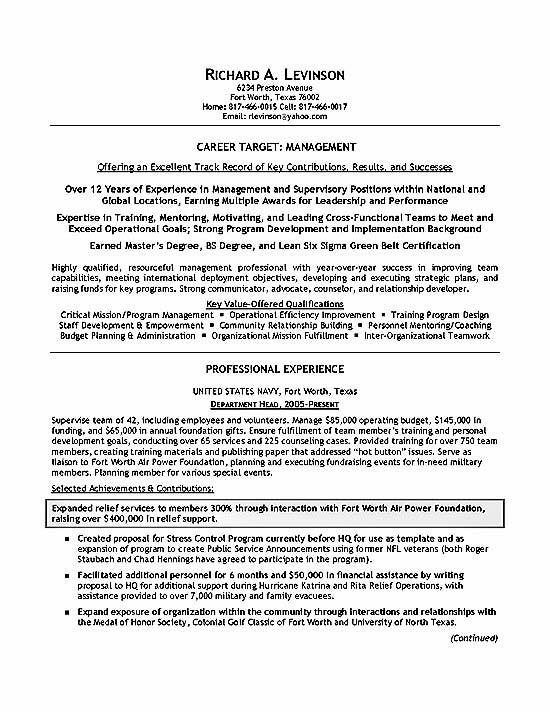 Below you will find an example of a military resume conversion for a former Department Head and Supervisor. The job seeker is targeting management jobs in the private sector. The summary and qualifications outline areas of strength such as Program Management, Staff Development and Relationship Building. The writer also underscores skills in Organizational Development, Budgeting, Mentoring, and Training. The job experience area uses a standard job title heading with a paragraph that documents the scope of each position. A gray box is used to highlight the most important achievement at each position with bullet points to emphasize key projects and supporting accomplishments. The education section lists the Master Degree and Bachelor Degree in Health Administration. In the military, your job is often targeted towards operational goals that are different. Your job responsibilities are diverse and this allows you to become a qualified candidate for many positions. This is why its so important to pick and focus on a specific target. In this case, the job seeker is clearly targeting management. This is clarified in the headline and expanded in the summary. Other important qualifications are included in the summary. First, you can see the masters degree, which can prove important. Secondly the six sigma green belt adds a unique certification. Lastly, the summary focuses on team building, leadership, results and operational efficiency. The experience section proves to the reader that this individual can lead large teams and manage big budgets. The scope of work is explained clearly in each position. As stated above, the gray boxes help the reader focus on their best achievements. Even someone that scans this resume for a few seconds is will see that this professional raised $400,000 in relief support. 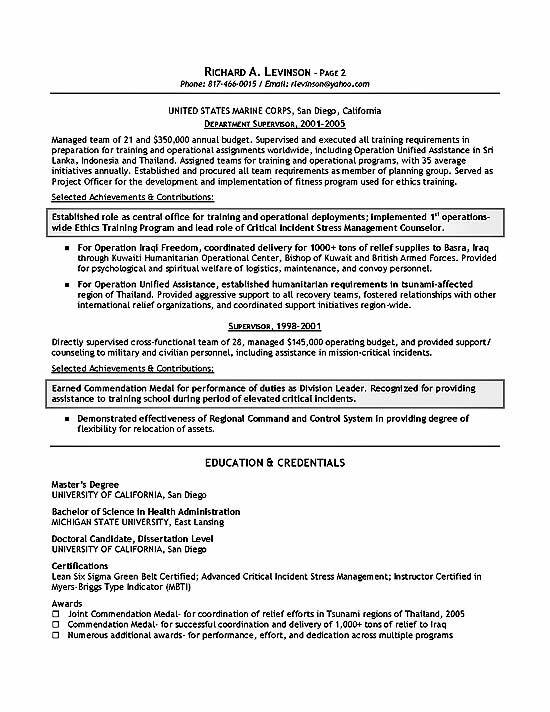 Department Manager Resume Example By Career Wizards Inc.